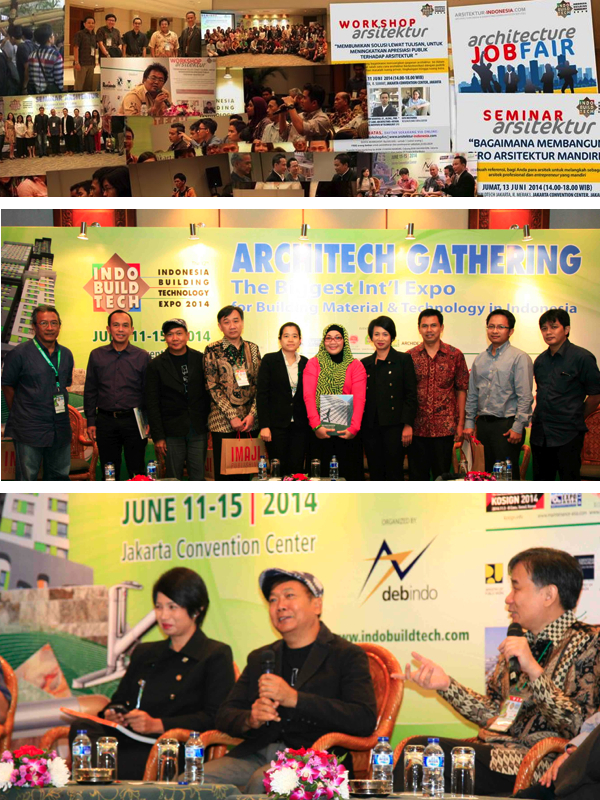 Mr. Doddy Tjahjadi, Managing Director was among the invited speakers at the ARCHINESIA Roadshow held at the Jakarta Convention Center last June 2014. A relevant topic on the upcoming ASEAN integration in 2015 and its impact on the Indonesian Architects, Mr. Tjahjadi shared his insights and experience in managing a multi-national diverse staff of architects and designers and the opportunities to expand the practice in the ASEAN Region. With the strengthening of the ASEAN economy, there is a greater need for cooperation and understanding among architects in order to meet the growing business opportunities in real estate development. Along with these opportunities, the challenge for the Indonesian Architect is to keep abreast with international standards of practice to remain competitive and marketable. 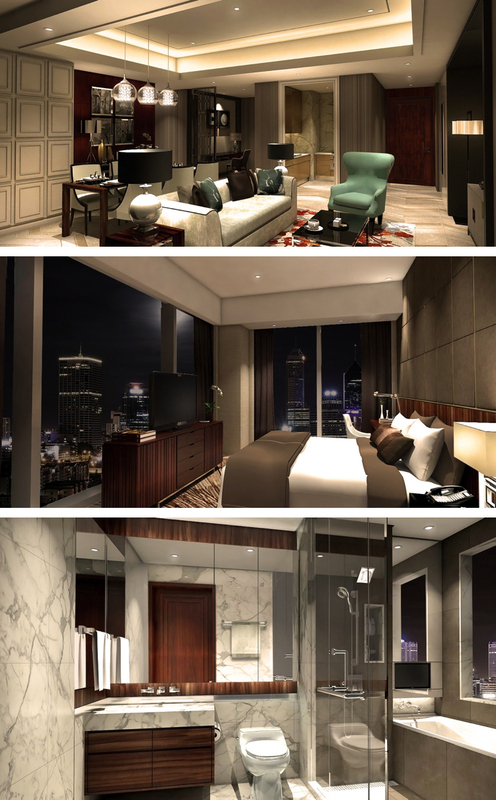 PTI Special Projects led by Stephen Stinton took on the design commission of Antasari 45 Residences, a 34-storey condominium development in the vicinity of Antasari-TB Simatupang, South Jakarta, envisioned to cater to both the foreign and local market. It is planned as an integrated development where a pre-school, parks and playground and a retail and F&B hub will support the future needs of the residents. Bandung with its cool climate and shopping outlets is the preferred weekend get-away for most Jakarta residents and tourists from Singapore and Kuala Lumpur. It is also host to internationally- recognized universities where students from the country and nearby countries choose to attend. 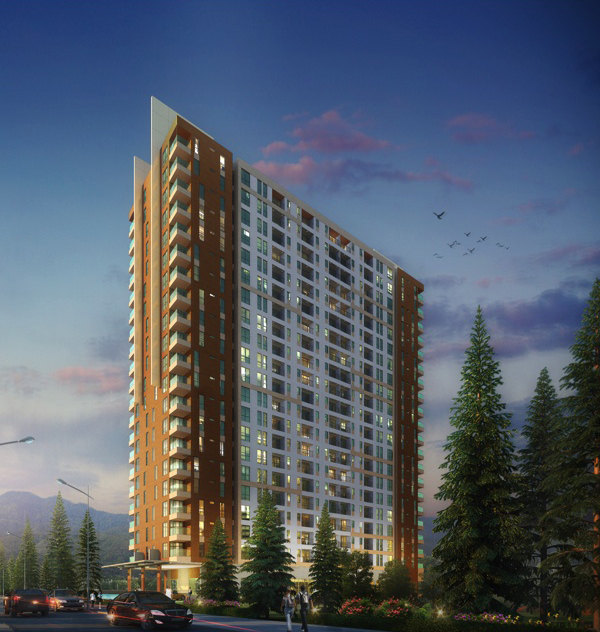 With these considerations in mind, Hegarmanah Residence is designed to attract and to cater to this growing market. As a long-standing client of PTI Architects, we are delighted to work with the Hegar Amanah Jaya Bersama Group and take-up the challenge to design Hegarmanah Residence, as a unique landmark in the rolling hills at the northern part of Bandung. 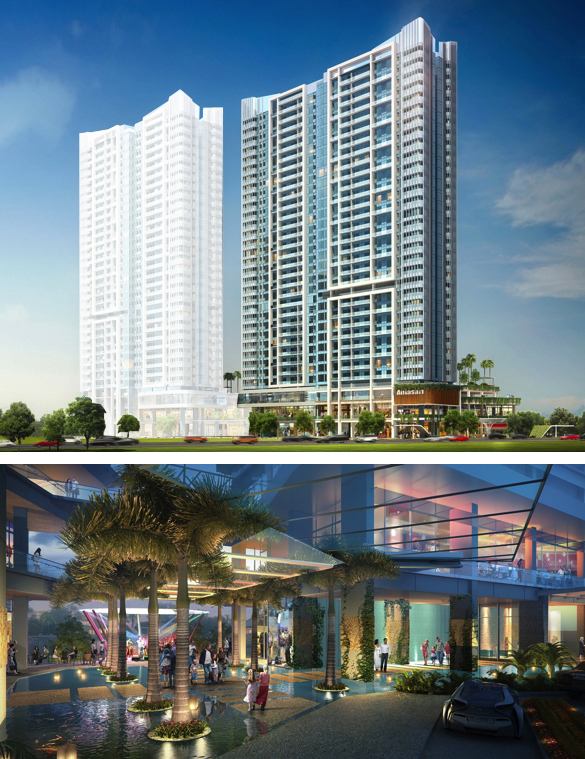 Oakwood Premiere, a residential development at District 8 Senopati is one of PTI Interior Design’s recent commissions. Headed by Yofi Soetono, the team closely worked with the client in responding to Oakwood Premiere’s brand of luxury, comfort and elegant style. A 280-room fully-furnished and full-serviced apartments, it is targeted to cater to the discerning business and leisure travelers. 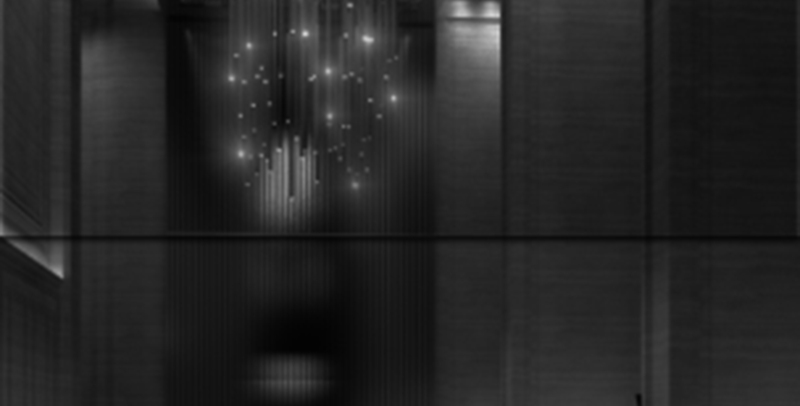 The interior design concept was built around a mix of the art deco and contemporary styles. Color palettes are shades of brown and beige with accent color of blues. Furniture, fixtures and finishes complemented the eclectic style with touches of stainless steel and geometric patterns arranged in symmetry. Dark polished wood were used against a backdrop of light brown padded walls and linear patterned carpet tiles of brown and beige hues. Overall, the design comes together to provide an elegant, light and homey ambience. Serenia Hills is a 30-hectare exclusive residential subdivision in the quiet and secluded enclave of Lebak Bulus in South Jakarta. It was first launched in 2011 and has continuously expanded to today. It capitalizes on the natural features of the site and the accessibility to TB Simatupang, a major transportation link to the CBD and surrounding cities, as well as, to the future intermodal transport terminal at Lebak Bulus. 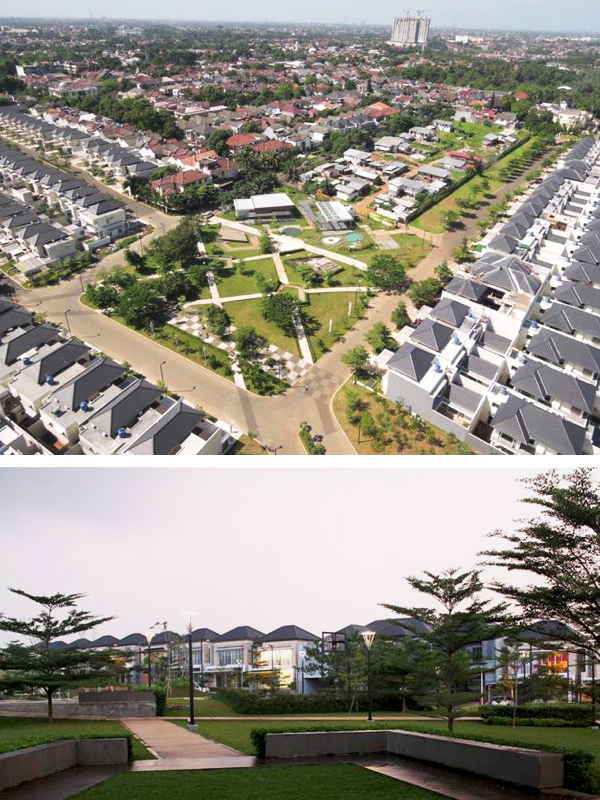 A master-planned development consisting of parks and playground, jogging and bike lanes, community facilities and service infrastructure, it has become the preferred choice of the middle and upper-class market segment.